Best view of The Bridges' lighted palm trees and water falls! The desirable Sebastian model features living areas, master bedroom, 2nd bedroom and separate built-in study down and two huge bedrooms and family/game room (can be 5th bedroom) up. Enjoy the gorgeous pool and lake views. Privacy with large fenced landscaped back/side yard for children or animals. Pool has heater, sun shelf, fencing, and lighted water jet feature. No hurricane worries with full house 32k natural gas generator! List of upgrades available (marble, travertine, SubZero and Viking appliances, jacuzzi tub, body spa shower, hardwoods, built-ins, drapery, summer kitchen, pool) evidencing this home's great buy. 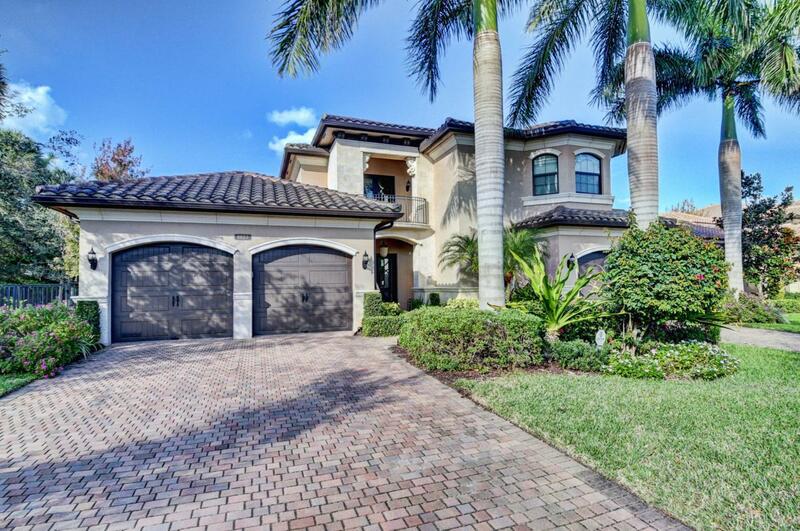 This is Florida resort living at its finest and in move-in, freshly painted condition.